In our endless quest to make cooking easier and faster, we’re willing to try anything and everything the internet throws our way provided it’s labelled the “best hack ever.” While some of those hacks actually do work, and can save us time and energy in the kitchen, they’re definitely not all winners. 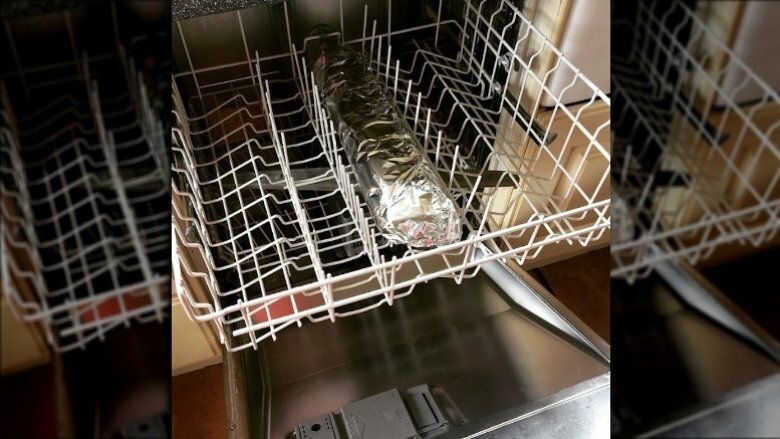 Some of these so-called genius hacks are actually risky or just plain dumb. 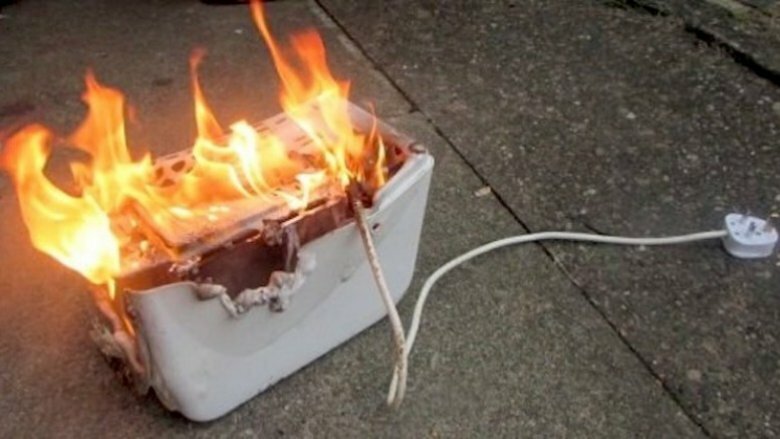 While there probably isn’t a lot that can go wrong if you choose to hull your strawberries with a drinking straw, or employ an empty ketchup bottle as a pancake batter dispenser, things can take a turn for the worse if you try to make a grilled cheese in the toaster, or try to open a wine bottle with a blow torch. After all, you won’t be saving any time at the end of the day if you have to deal with a toaster fire or a wine shower. Remember: Just because people on the internet are doing it doesn’t mean you should. These are the dangerous food hacks you’re probably better off skipping. It’s a very tempting proposition: Put an unopened can of sweetened condensed milk in a pot of boiling water, walk away, and in a few hours you’ll have magically made dulce de leche. But unless you want to risk a sweetened condensed milk explosion all over your kitchen, you’ll probably want to make your dulce de leche another way. If you decide to throw caution to the wind and try this hack anyway, be sure to exercise plenty of patience when it’s time to dig in. 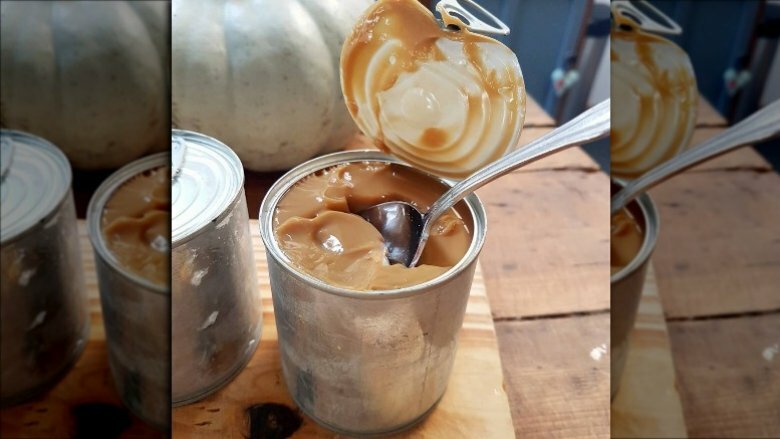 If you open the can while it’s still hot, the pressure inside will result in a molten hot dulce de leche shower. When it comes to sandwiches, a grilled cheese is already pretty darn easy to make. Slather some butter on the bread, slap a piece of good ol’ American cheese in the middle, and fry it up for a few minutes. Do we really need to make it easier? Apparently, yes. Yes, we do. For this oh-so-brilliant food hack, you simply place a slice of cheese on top of a slice of bread, turn the toaster on its side, and load in the bread cheese-side-up. What could possibly go wrong when you combine a toaster and melty cheese? Two words: Toaster fire. Making brunch for a crowd is stressful, especially if you’re attempting to make a dozen custom omelets. 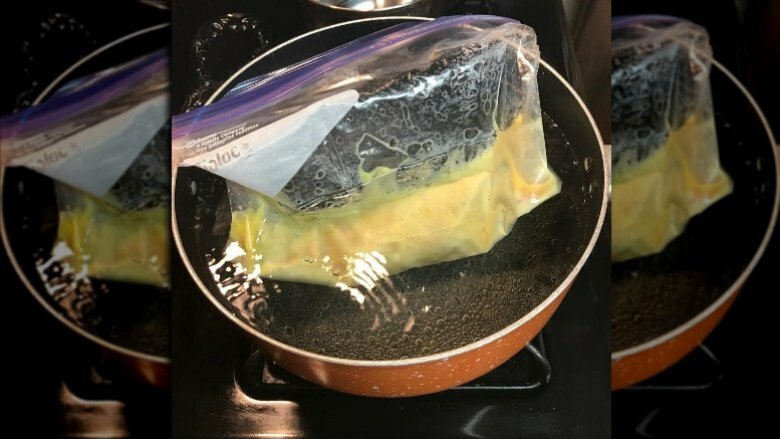 Thankfully, there’s a solution: The omelet in a bag hack. It’s exactly what it sounds like… Crack some eggs into a Ziploc bag, throw in the cheese, ham, or vegetables, mix it all up, and cook it in boiling water. Because you can cook several omelets at once, it’s a total time-saver. But is it safe? According to Livestrong, harmful chemicals can leach into food when the plastic is boiled, including Bisphenol A (BPA), which has been associated with increased cancer risk. While some bags, like Ziploc, do not contain BPA, other less expensive bags might, and all plastic bags still run the risk of leaching other chemicals into the food. Safety aside, the softening temperature on a Ziploc bag is 195 degrees, and water boils at 212 degrees. According to our math, that equals a melted bag and a pot full of watery omelet, which is probably not the time-saver you were hoping for. So you have a bottle of wine but no way to open it? 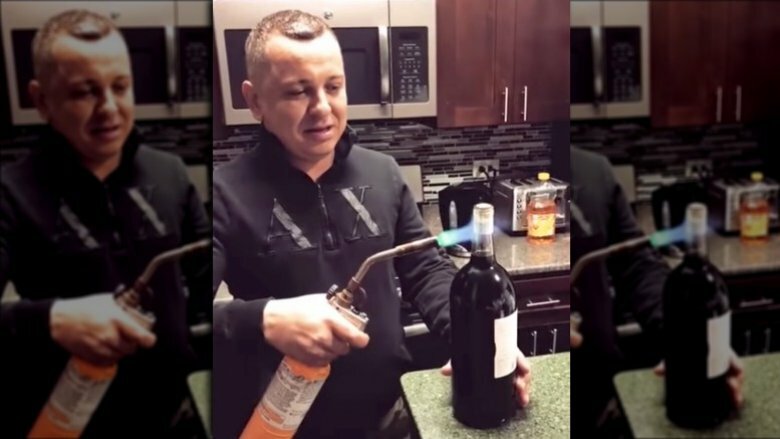 There are a whole lot of wacky hacks floating around out there to get this job done sans corkscrew, but none of them seem quite as dangerous as the blow torch method. The theory is that if you heat the bottle just below the cork, the air will expand underneath it and push the cork up and out. Yes, fire, glass, and wine sounds like the perfect combination. One man’s real life attempt at this hack proved that the blow torch does indeed get your bottle open, however, it wasn’t because the cork popped out nicely. It was because the bottle exploded and sent glass flying with a fair amount of force. Another wine hacker attempted the remove the cork by placing the neck of the bottle over the gas flame on his stove, and unsurprisingly, the results were the same. If you’re looking for shattered glass and potential injuries, keep this hack filed away. Otherwise, we happen to have a super genius hack for you: Buy a corkscrew already. Making plain ol’ pasta is Cooking 101. There is absolutely no need for a hack, right? Wrong. A cooking hack took the internet by storm in 2017 when a social media post depicting the “right” way to drain pasta went viral. 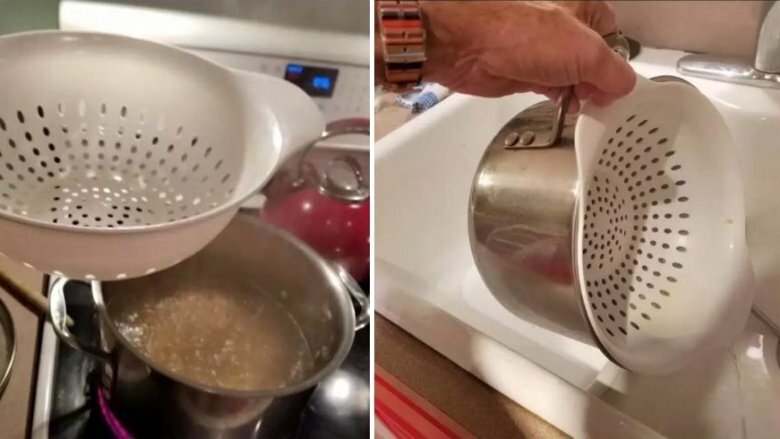 With this method, you place the colander inside the pot of boiling water, and hold it in place while draining. So what’s the benefit? As far as we can see, there is none. For one thing, you lose all that liquid gold (AKA the starchy pasta water you’ll want to use in your sauces), and more worrisome is the potential for burns and other mishaps. Your best bet: Use tongs to remove the pasta, save the water, and avoid being burned. Yes, cooking salmon (and other foods) in the dishwasher is actually a thing people do, and yes, it actually does work. But just because you can doesn’t mean you should. To make dishwasher salmon, you seal up the fish, then run the wash cycle as usual. The hot water from the cleaning cycle along with the steam from the drying cycle gently cooks the salmon, and depending on how long your dishwasher runs, you’ll be digging into a super-tender fillet in about two hours. If you’re thinking you could have just poached a piece of fish in under 30 minutes rather than dealing with the dishwasher, you’re right. But let’s say you have all the time in the world… is that oh-so-moist dishwasher salmon safe to eat? Maybe not. If your dishwasher doesn’t come to a high enough temperature to kill harmful bacteria in foods (145 degrees for fish), you could be at risk of food-borne illness. Since most dishwashers heat to about 130 to 170 degrees, it’s hard to know for sure if your dinner is free of bacteria. Is the novelty really worth it? 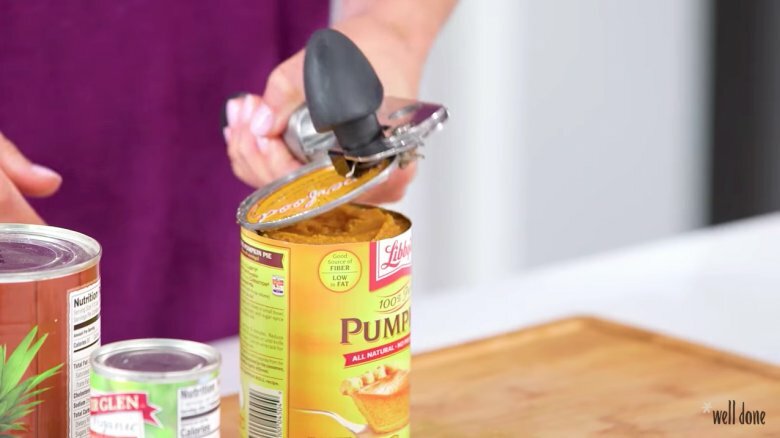 This might be hard to swallow, but we have some bad news for you: You’ve been using the can opener wrong your whole life. Apparently the opener should be on the top of the can, not on the side of the can as you’ve probably been doing for decades. At least that’s what this viral video tells us. But Mom Vs. host Nicole McLaughlin put this can hack to the test, and though she was able to successfully open the can, the “right” method resulted in a a jagged metal edge and bits of the paper label in the food. Sure, when you open a can the old way, you might end up with one sharp point where you had to twist the lid off, but isn’t that better than an entire rim of danger on which to slice up your hands? Sounds like it’s safe to say that the wrong way is actually the right way after all.